Been on any good road trips lately? 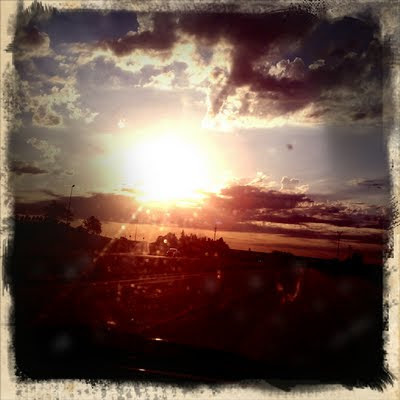 The past two weekends my husband and I have logged many car hours as we visited out-of-town family. His job is to drive, my job is to stay awake and entertain him. Part of my on board entertainment package is taking pictures to commemorate our travels [or maybe that's because I love my phone's camera?]. 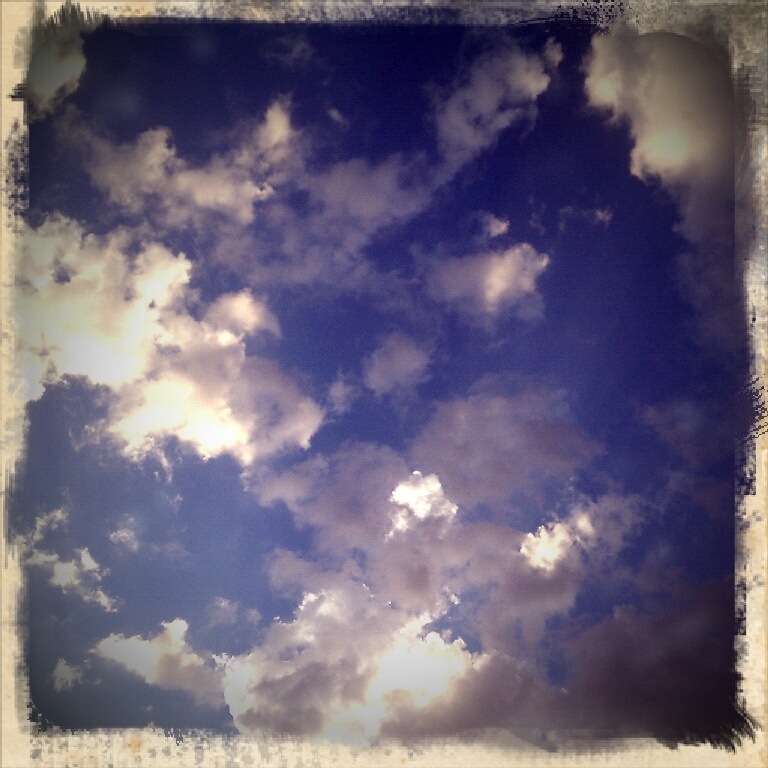 Check out these clouds, though! Turns out our car's moon roof is perfect for cloud gazing. Last night, though, we had time to ourselves and no travel plans. Translates: date night! 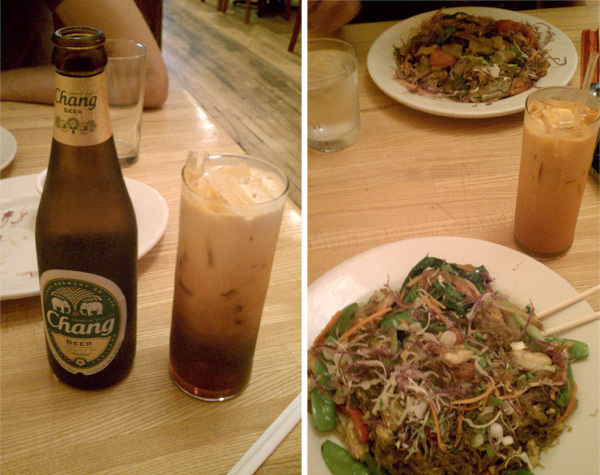 [contented sigh] Thai beer for him, Thai iced tea for me at one of my favorites, Sen Yai Sen Lek. It's delicious. You should probably try it. The restaurant, I mean, but go ahead and order the tea while you're at it. I'm so glad you are enjoying it!